THE FINE GAEL rebels want to be known as the Reform Alliance as the new grouping prepares for the beginning of the Dáil term next week. The group of five TDs and two senators has been formed in the aftermath of their expulsion from the parliamentary party over their vote against the abortion bill. 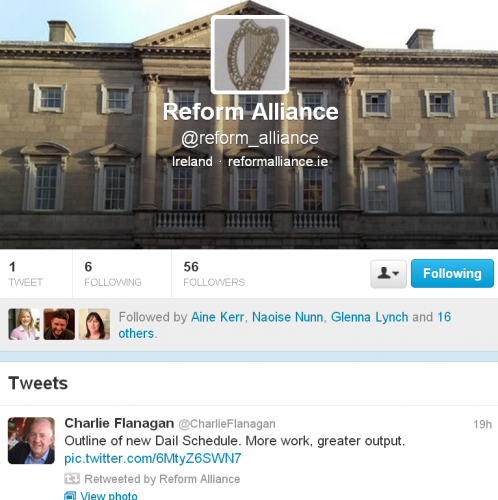 The Reform Alliance has set up a Twitter account which links to a currently non-existent website but this will be active “in due course” one of its members, Lucinda Creighton, said today. Speaking to RTÉ’s Morning Ireland, one of its members, Billy Timmins, said that it is a “loose alliance” and said that it is not a political party and does not have a brand or logo but he did not rule out having all this in the future. The grouping includes TDs Creighton, Timmins, Terence Flanagan, and Peter Mathews as well as Senators Paul Bradford and Fidelma Healy-Eames who lost the whip over the abortion vote. It also includes Roscommon-South Leitrim TD Denis Naughten who lost the whip two years ago over hospital cuts. However, the Reform Alliance does not include Galway West TD Brian Walsh who said he would not be joining the new alliance because some within it are “campaigning aggressively” for the retention of the Seanad. Walsh made clear in an interview with TheJournal.ie last night that the abortion bill was “a single issue for me that I couldn’t vote for" but said that he would fully support the government in all other matters including scrapping the Seanad which he said was "Enda Kenny’s baby and brain child". In an interview with this website the Government Chief Whip Paul Kehoe has ruled out any return to the parliamentary party fold for Walsh or the members of the Reform Alliance. 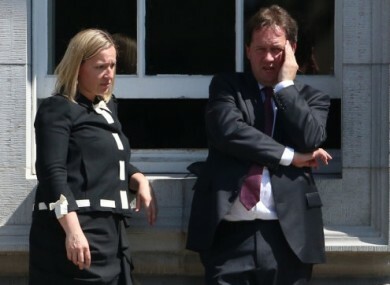 He also said they will not be selected as Fine Gael candidates at the next election. The Reform Alliance is due to hold a 'think-in' this weekend having been excluded from the Fine Gael parliamentary party think-in that takes place in Laois next week. The chances of it becoming a fully-fledged political party are remote, according to Naughten who was speaking on Today with Seán O'Rourke this morning. Explainer: Why can’t the Fine Gael rebels form a new political party? Email “The politicians formerly known as the Fine Gael rebels are now the Reform Alliance”. Feedback on “The politicians formerly known as the Fine Gael rebels are now the Reform Alliance”.